Multi-glandular building blocks (without hormones) to optimally support healthy adrenal structure & function. When the adrenal glands are overworked by stress or illness, both their function and structure need support. 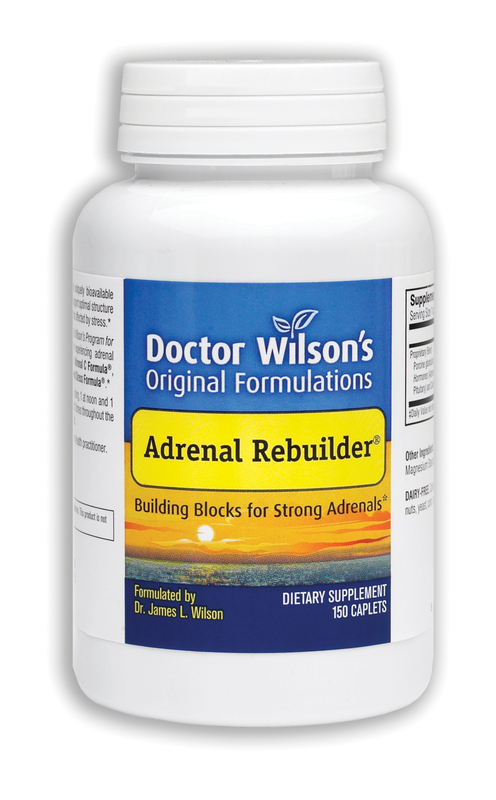 Dr. Wilson’s Adrenal Rebuilder™ provides naturally bio-available building blocks your body can readily use to help support healthy adrenal structure and promote optimal function of your adrenals and the other endocrine glands affected by stress. This unique multi-glandular dietary supplement is processed to be free of hormones, but retain the nutritive components that help build strong glandular structure and function. Many people using Adrenal Rebuilder™ have told us that it has been the key to helping them rebound from stress and experience renewed energy and well being. Your adrenal glands respond to every kind of stress you experience by producing and secreting hormones, such as cortisol and adrenaline, that regulate many essential processes in your body. Stress can fatigue your adrenals, causing adrenal hormone levels to drop (adrenal fatigue). When your adrenal glands are overworked by stress, the resulting biochemical and cellular changes can affect many systems in your body such as immune function, blood sugar balance, energy production, thyroid function, and hormone balance, among others. Specific, targeted supplemental support can aid in maintaining healthy adrenal tissue structure and function, and contribute to overall good heath and vitality during times of stress, as well as to your ability to handle additional stress. Dr. Wilson designed the products in his Program for Adrenal Fatigue & Stress to work together to provide the specific targeted support that optimally fosters healthy adrenal function and structure. Adrenal Rebuilder™ is the foundation product in this program and the cornerstone support for health during adrenal fatigue and stress. Adrenal Rebuilder™ is a unique formula containing concentrated glandular extracts that provide important natural building blocks for the adrenal and related endocrine glands. These concentrates are carefully selected, processed to be free of hormones, and combined in precise proportions to best facilitate building and maintaining healthy adrenal tissue and function, while also supporting the other endocrine glands affected by stress.The precise combination of ingredients that makes Adrenal Rebuilder™ succeed where other adrenal products have failed is the result of hard won insights gained by Dr. Wilson during his more than 30 years of clinical and research experience. 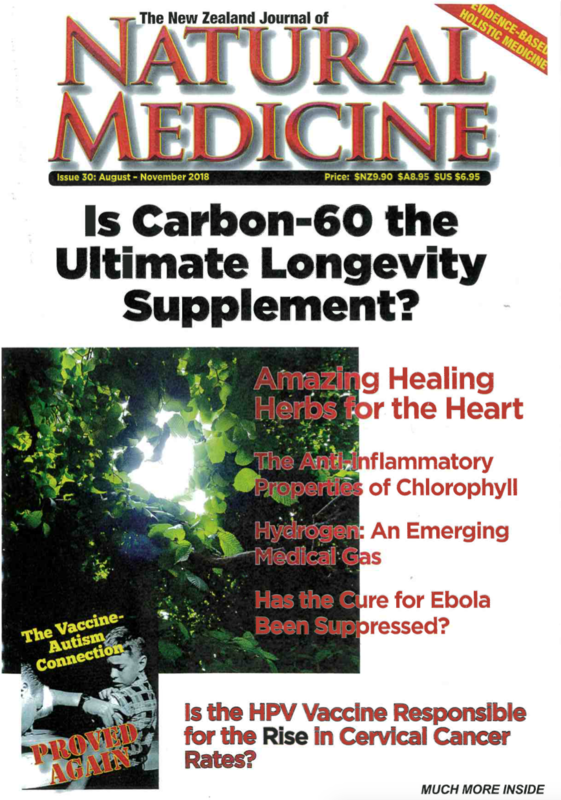 It has been known since 1918, when the first adrenal tissue extracts became available in the US, that the most effective way to support the health of people experiencing adrenal fatigue is to have them take adrenal cortex glandular tissue along with the tissues of supporting endocrine glands. Dr. Wilson found that adrenal cortex from high quality porcine (pig) sources that has been processed to remove the hormones produces the best results. In addition to a generous amount of adrenal gland concentrate, Adrenal Rebuilder™ contains high quality, hormone-free hypothalamus, pituitary, and gonad concentrates in the proportions that provide the greatest support for those experiencing stress and adrenal fatigue. This product is free of any thyroid glandular extracts. Dr. Wilson created the herbal & nutritional supplement called Thyro Balance to provide optimal support of the thyroid gland. This deep fortifying takes time, so even though you may notice a difference within a week or two, it is necessary for most people to continue taking Adrenal Rebuilder™ for at least 6 months to fully support and benefit their adrenal glands. For optimal effectiveness, use Adrenal Rebuilder™ with the companion products Dr. Wilson created as part of his Program for Adrenal Fatigue & Stress: Adrenal C Formula™, Super Adrenal Stress Formula™, and Herbal Adrenal Support Formula™. Adrenal Rebuilder™ is the program’s mainstay during times of stress and adrenal fatigue, and should be the last adrenal supplement you discontinue. 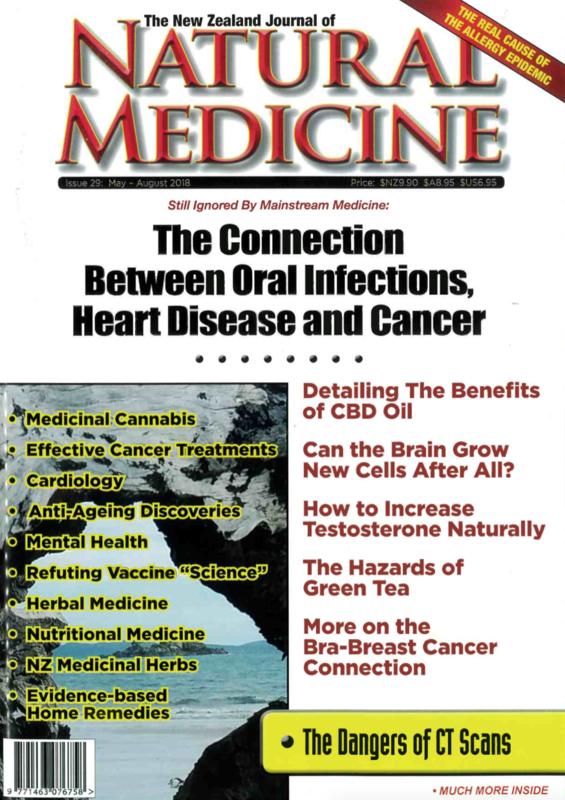 We have received excellent feedback in New Zealand from people who have been on the other Adrenal Fatigue products to assist them in their quest for relief from their fatigue. Adrenal Rebuilder™ it is now available in a new economical 150 tablet size as well as the original 90's. Ingredients: A proprietary blend containing porcine adrenal, gonad, hypothalamus, and pituitary concentrates processed to remove hormones. Adrenal Rebuilder™ contains no thyroid glandular extracts or hormones. Directions for use: Take between 1-4 tablets with each meal and 1 at bedtime. If needed, take 1-2 every 3 hours or as recommended by your health practitioner. As results are seen, gradually decrease to 1 or more a day, as needed. Side effects: The ingredients in Adrenal Rebuilder™ have no known detrimental side effects when used as directed. Quality and purity: Adrenal Rebuilder™ is a completely natural dietary supplement. It contains no egg, dairy, sugar, yeast, corn, wheat, soy, artificial coloring, flavoring or preservatives. "Last Saturday I had a fantastic day at the beach with 8 teenagers - I played cricket, volleyball etc, swam, arranged meals etc, and amazingly, I still felt great when I got home!! This would have been an impossible feat for many years, and now for me to finally feel like this with my girls is absolutely fantastic; these products are worth every cent!" "After dozens of diagnostic tests on everything from my gall bladder to my heart found nothing seriously wrong, my doctor decided that I was just overly stressed and the cure was "a little rest". But I knew a week of just resting was not going to cure me because, by this point, I was barely functioning"